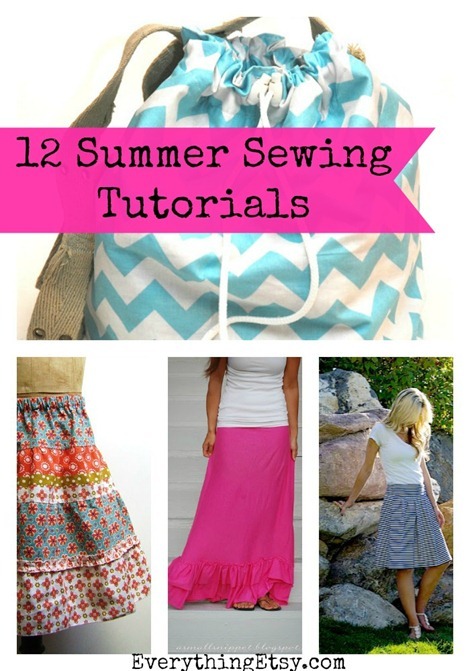 It’s time to whip up some simple summer sewing tutorials! I love this time of year full of colorful and carefree skirts that are so easy to make. Add a punch of color to your couch with new pillows…summer fabrics rule! If you are new to sewing…no worries! 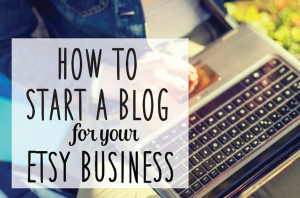 These are really easy-to-follow patterns that will create something fabulous in no time at all. How about these pillows for that punch of color I was talking about?? Love them, want them, NEED them! This sweet and sassy skirt would look great any day of the week. 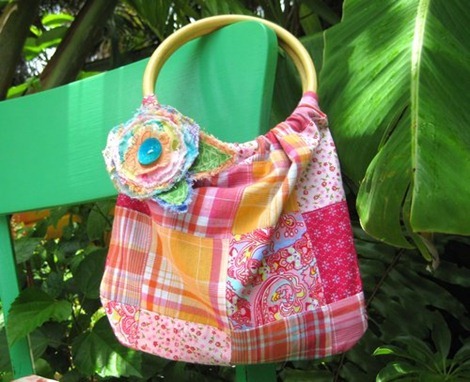 It’s perfect for picnics, parties or vacation! 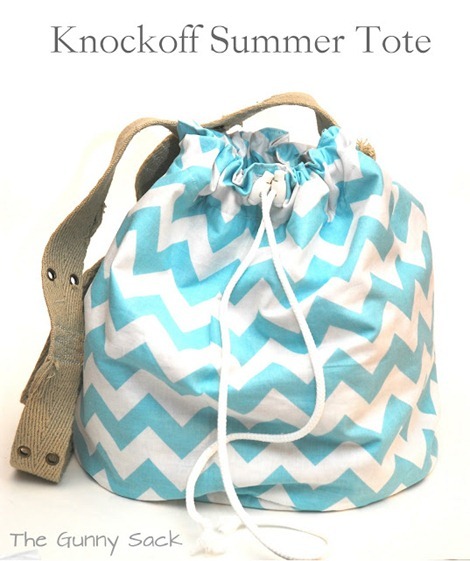 This is an all-around cool summer tote for anything from bike rides to the beach! Oh, and who doesn’t want one in this cool blue chevron fabric??? Make one for yourself. 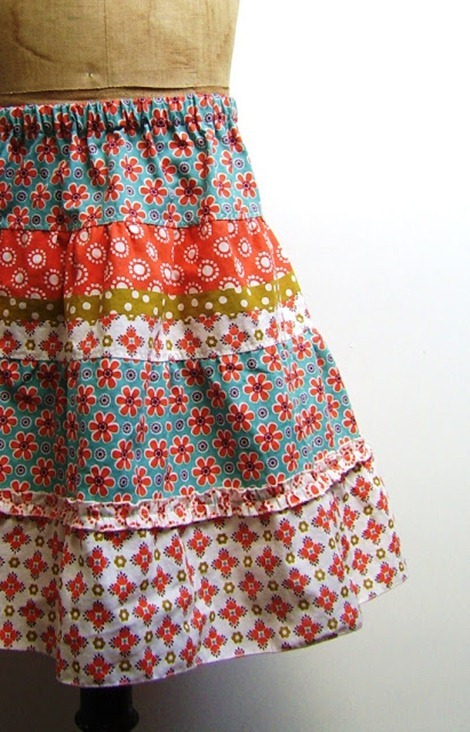 This simple circle skirt is a classic pattern that looks great with any fabric! 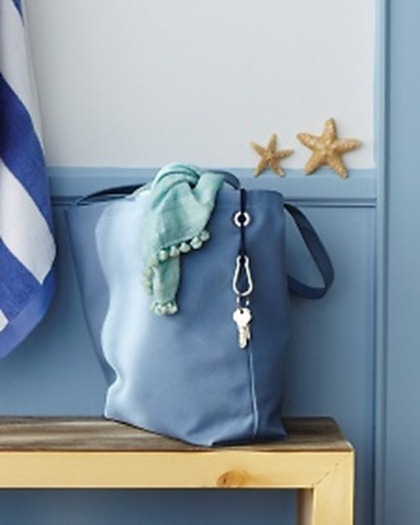 Create this beautiful beach bag in no time at all! The key holders is a great little addition, don’t you think? Time to head out to the beach! I’ve shared this lovely skirt before because we all need one! I have a few sheets ready to use for this pattern already…simple, cheap and BEAUTIFUL! This quick bamboo handle bag tutorial is super quick and cute. It’s a great gift…I usually make one for me and then one for a gift. Ha! This is such a creative tutorial to keep those sunglasses looking great! Can you ever have too many hair accessories in the summer?? I think not! Got ruffles? 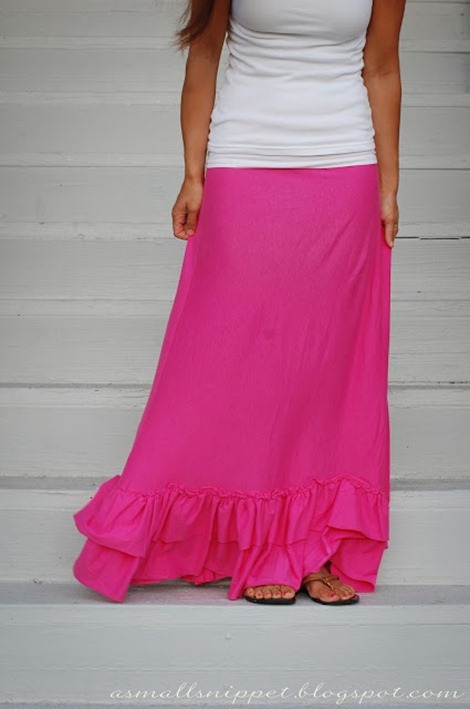 If not, you need to get busy with this ruffled skirt tutorial. 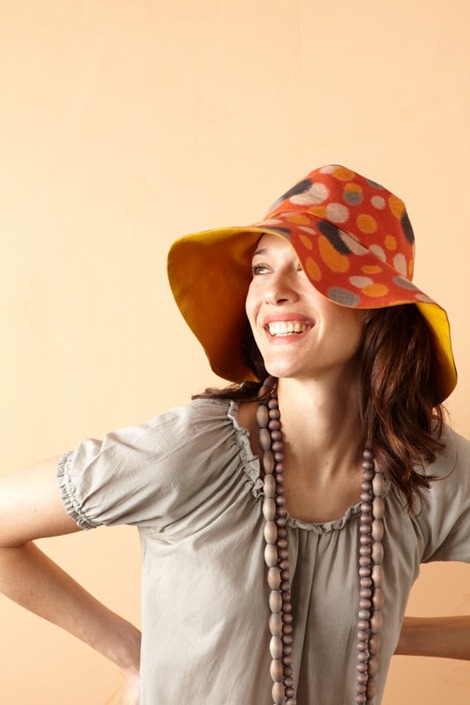 This is a great little hat for a day by the pool…think of all the possibilities in summer colors! I love the mixture of fabric in this skirt! Get creative and design just the right skirt for you! 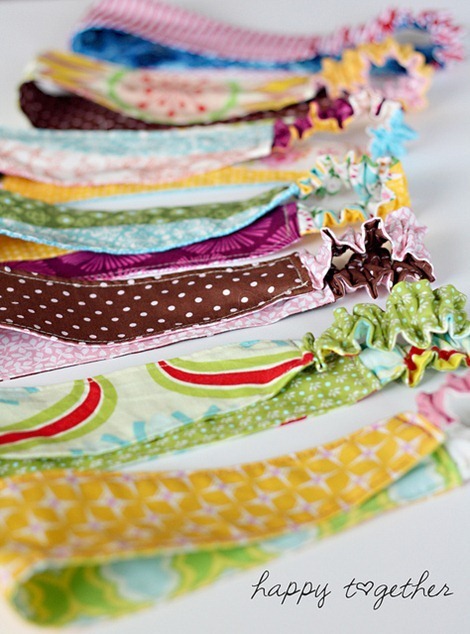 Have you made any summer sewing projects yet? Are you new to sewing or can you sew anything? 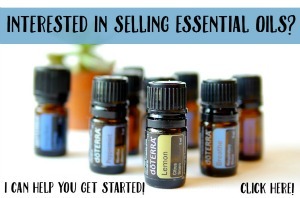 I’d love to hear about your projects in the comments! Hi Kim! 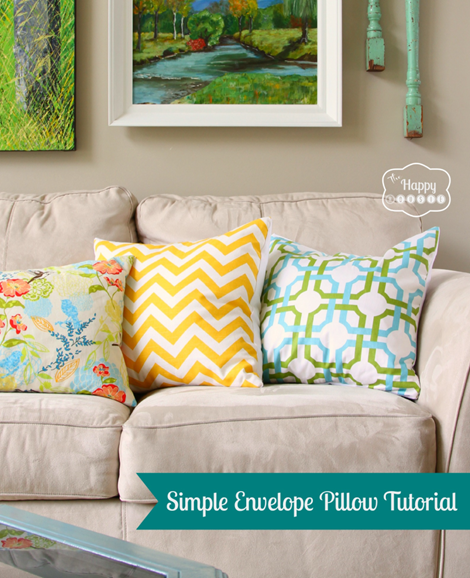 Thank you so much for including my Envelope Pillow Tutorial in this great roundup! Hi Krista! Great fabric choices…they are beautiful! Thanks so much for stopping by! I love these outfits so much!! Thank you!!!! So many great ideas! I’m pinning all the skirts =) That’s my thing for the summer, I want to wear more and don’t always like what’s in stores, so making will be the solution. I didn’t iron though, was working quickly, and the hem on the circle skirt isn’t so great. I plan to smooth it over with a ribbon sewn ontop! The maxi skirt I pinned before hemming and that turned out better, wearing it now. Can’t wait to try these other patterns!